I love love love lebkuchen, those soft spicy gingerbread-like half cookie half cakes that you can get at this time of year. Must be my Austrian roots showing though! We always used to buy a bag or two (good for a little snack as they tend to be about 50 cals each so a nice seasonal treat), but this year when I noticed them in the shops, upon reading the ingredients I was very annoyed to see they all contained pork gelatine. Hmm, they never used to. I suspect they are all made in the same place, as all the shops checked so far have the same problem (Asda, Tesco, and Andy’s parents got a mix pack from Aldi which was also not veggie). I told Andy about how I was sad because I do love them, and what did he do? Yup, he bought himself a bag! Hmm. So I decided that I would try to hunt down a recipe, which is easier said than done. In the end I found this recipe, and from the comments it seemed like it was the soft of thing I was after. Some of the recipes looked like gingerbread cakes, and some looked too crunchy. The comments also mentioned that you should leave the dough overnight to make them have a more authentic texture. First up I mixed 125g plain flour, 45g ground almonds, 1tsp ground ginger, 1tsp cinnamon, a pinch of cloves and some mixed spice, with 1/2tsp baking powder and 1/4tsp bicarb. Then I melted 100ml honey and 40g pure spread, and poured this over the flour mix. I am sure golden syrup would work just as well, as it is a similar recipe and technique to making gingerbread for houses. Then I mixed it all into a ball of dough. I left it to cool for a bit, covered it in cling film and left it in the fridge overnight. The next day I preheated the oven to 180C, and rolled the dough into little balls. It needed to be squashed and kneaded a little bit. These went into the oven for 12 mins (the recipe said 15 but a lot of the comments said this was too long). Next time I might even try 10 mins. When they had cooled a little bit I coated them in a little apricot jam. The lebkucken I love the most have a little apricot filling with dark chocolate. Then I melted a little dark chocolate (maybe 50g) and stirred in a little cinnamon and ginger. I then dropped this over the top of the jam. I tried one right away (too impatient to wait for the chocolate to set!) and I am really pleased with the results- they are slightly soft but not like a cake, and lovely and spiced. Yum. We had a lovely relaxing Sunday- did some gardening (we still had bulbs that needed planting) and walked up to the shops- Andy even treated me to a soy chai latte in Caffe Nero (we don’t have a Starbucks) and on our way back popped to Aldi for a few bits. Look what we found! Yup- they did not have the ones that Andy’s parents bought, but both the bag of iced ones and the pack of chocolate ones are vegetarian. Ah well, nothing quite beats home-made does it? These are little cookie stencil things- I was thinking they would make pretty shapes on top of chai lattes, but I think I need my milk a little more frothy- need one of those hand held milk whisker things. I have also been perusing the internet for gifts (for others, and also things I would love!). How about a Yankee Candle sampler set from play? Or this cute owl door stop? 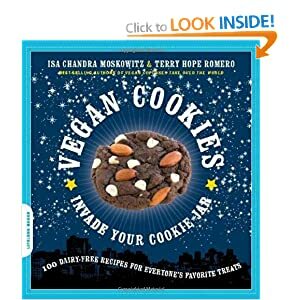 I already have this book and it is amazing- never had a bad recipe yet! Click on this link to visit Amazon and look inside if you don’t believe me. 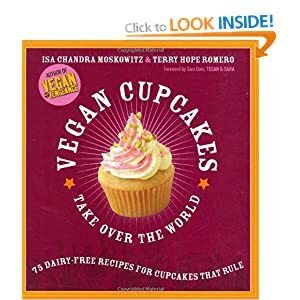 As that book is so good, I am tempted by the cupcakes book by the same authors. How about an Owl hot water bottle? I am loving owls at the moment- so cute! 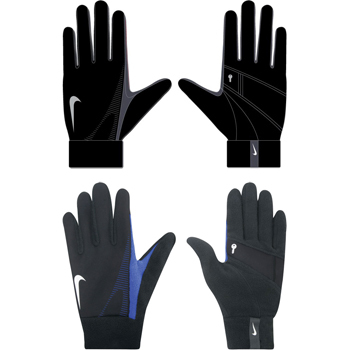 Or some thermal running gloves (from Wiggle– Andy has the men’s version and they seem fantastic compared to other brands). And it would not be my blog without some kind of tea! Do you prefer to buy in store or online? And is it just me that is obsessed with those lebkucken?? Author Maria RunsPosted on November 20, 2011 Categories General ramblings, Recipes, Stuff I love! I think I’m going to try and buy more stuff online this year if I can although I can’t help myself when looking round the shops too! Love the sound of that recipe, I have so many recipes I’d like to make in December I think I’m going to have to make some tough choices! Your lebkuchen look so good! I’m a big fan of them! TBH, I don’t really like internet shopping. Well, I do like for things that I’m unable to find in shops but, in general, I much prefer to go into the shop and see, touch, smell whatever it is I’m looking at buying. As much as I hate the queues and crowdiness around this time of year, I still prefer to go shopping on foot! I especially love Christmas shopping in person…it’s part of the fun browsing and deciding what to buy in the shops! If I can get it online and not have to traipse into a store I’m much happier. There are certain things I’ll research online and then get it in store. I am SO EXCITED that vintage owls are in. 😀 There are a few I have my eye on on etsy.com — so adorable. I’ve never heard of this type of cookie but it sounds DELICIOUS! Laura- I know so many recipes, so little time (and freezer space! )- I had to work out which weekends I am going to do the things like decorate the christmas cakes, make the jam, stuff like that! Jessica- I agree that browsing is harder online so often I will look for a few ideas and things in the shops, but spend the time buying them online. Errign- agreed- It turns me very grumpy! I’ve not had any lubkuchen yet this year, but I love it! I’m obsessed by anything gingery, so it’s definitely a winner. I like all the owl-themed gift ideas, so cute 🙂 I really need to buy some running gloves – I couldn’t feel my fingers for the first few miles of my race yesterday. Christmas shopping is enough to make anyone claustrophobic!